For the third year in a row, Apple in February will hold an internal Apple Watch activity challenge for its employees around the world. Employees that close all three Apple Watch Activity rings every day for a month will receive an exclusive black sport loop. 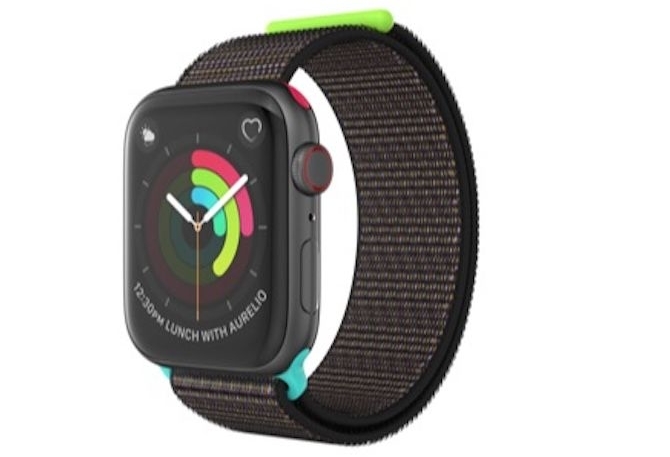 Those who complete this challenge will receive an exclusive Black Sport Loop, which has colored details on the plastic attachments that connect to the Apple Watch case, and on the end of the velcro band. The blue, red, and green colors on the band represent the Stand, Move, and Workout Activity rings on Apple Watch. Last year’s prize was a Woven Nylon band, which offered a hint of the Activity ring’s blue/green/red color scheme on the band fastener. The 2017 challenge offered pins and t-shirts as rewards for employees that closed all three activity rings every day in February.